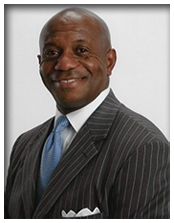 Garry L. McFadden is a longtime resident of Mecklenburg County. He is a husband and father of 3 and a proud Grandfather. He is a proud alumnus of Johnson C. Smith University. Garry is a community leader and advocate. He is committed to building bridges and breaking down barriers in law enforcement. He is an active member of FreedomHouse where he serves on the Greeters Ministry. Garry's community service includes work with various organizations including iSpeakNow NC, Omega Psi Phi Fraternity Incorporated, Game Plan for Life, Cops & Barbers, Justice Initiatives, Boy Scouts of America, NAACP and many others. Professionally, Garry is a 36-year veteran of the Charlotte Mecklenburg Police Department. His service includes 27 years as a Detective and 20 years in the Homicide Unit. Garry is currently CEO of McFadden Solutions LLC. WORKING TO INFLUENCE CHANGE BY BEING "THE DIFFERENCE"
Being recognized as a leading and professional organization committed to customer service and improving the quality of life in our community. 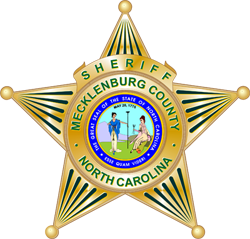 To protect the citizens of Mecklenburg County by operating professional and secure rehabilitative detention facilities, enforcing civil and criminal laws, providing outstanding public service with integrity and upholding the constitutionality of the Sheriff's Office.